The Bitter Sea is a series of books covering British history during the period of the Roman empire. The last book continues the story for the Welsh state of Gwynedd down to its conquest by England in 1283. Having fought to resist barbarians for nearly a thousand years, Gwynedd finally succumbed to a king, bent not only on completing the Norman conquest of Britain, but also on restoring the Roman province. These books give a long-overdue account of how Rome established its power in the British Isles, how it fought to maintain that power, and how the various component parts of these islands emerged from the collapse of imperial control in the west. The studies are based on contemporary and near contemporary accounts, make extensive use of quotations, and once more confront the issue of employing what purport to be sources composed at a much later date. Here history is interpreted in the traditional sense of trying to understand how change happened. As such, people take centre stage, many of them emerging far more vividly than one might have thought possible. 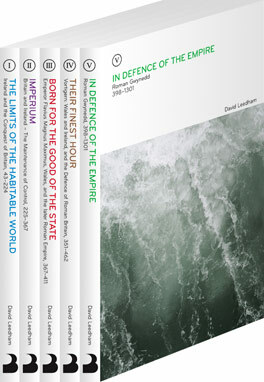 With this emphasis on narrative, the series provides accessible and polemical texts for all who are concerned to understand Britain’s past.